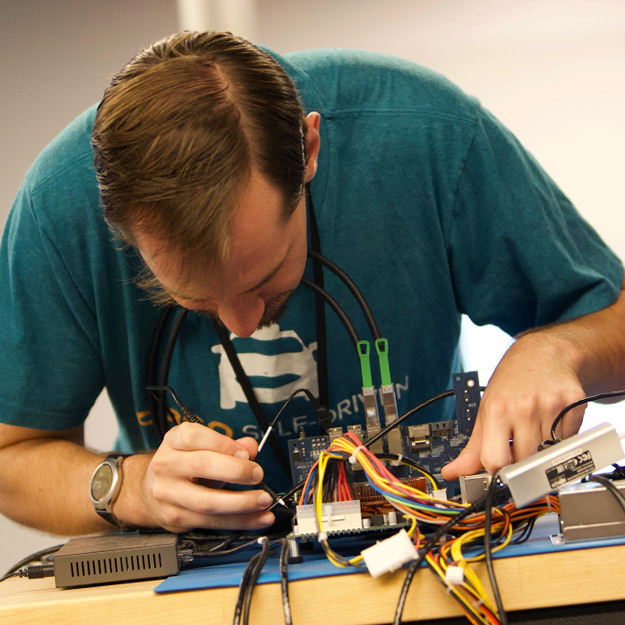 We combine coursework with hands-on lab experience to help you grasp the laws, principles, and concepts of electrical and computer engineering. 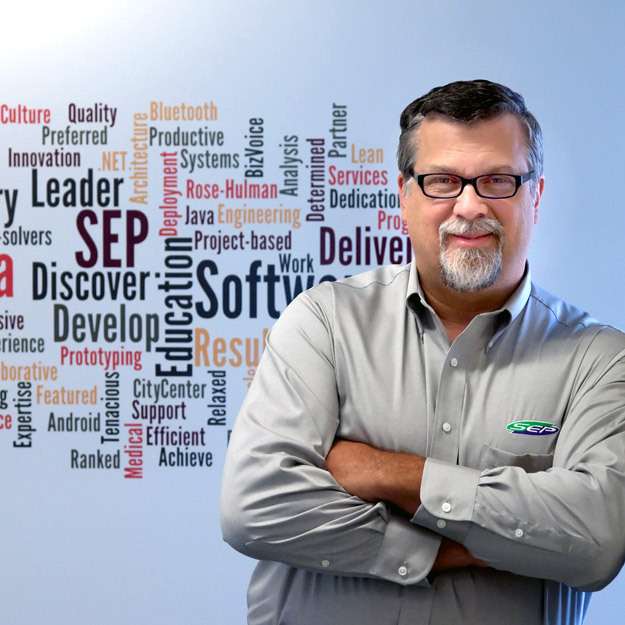 You’ll work with cutting-edge equipment provided by Eagle Test Systems and Texas Instruments, as you put theory into practice testing complex electronics for automotive, computing, telecommunications, aerospace, and defense industries. 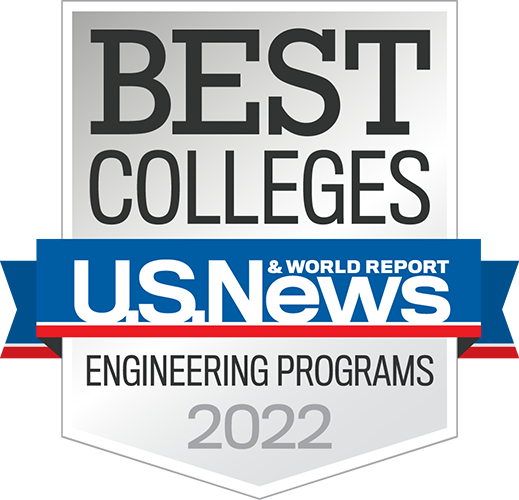 Our electrical and computer engineering departments have been Ranked No. 1 in the nation for several years running due to our high standards and focus on hands-on learning. As a major, you'll get practical experience solving complex problems for real-world clients. You'll also work closely with our expert faculty while using state-of-the-art equipment that undergraduates at other institutions could only dream of. Here, you'll work with the best equipment many times before you graduate. Grad schools and industry leaders recognize the value of our major. Our alumni have a nearly 100 percent career placement rate just a few months after graduation. We offer multiple options for entering freshmen that will prepare you for a wide range of careers in industry or government, or for further study. 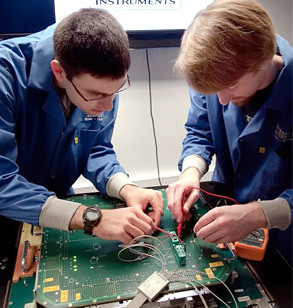 You can major in Electrical Engineering or Computer Engineering and choose an area of concentration, such as Communications Systems or Energy Production. 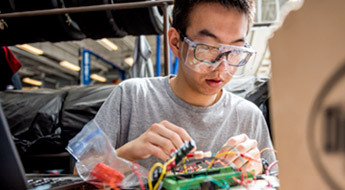 Students from other engineering disciplines may also earn an ECE area minor. Have you ever wondered how your cell phone works? Have you had an MRI or CT scan and wondered how that works? Are you curious about where your electricity comes from or how to create alternative energy? How does YouTube handle thousands of uploads every minute? How does a hoverboard keep you upright? Will electric cars replace the internal combustion engine? If you've ever asked these or similar questions, you might want to be an electrical engineer! Have you ever wondered how computers keep getting smaller, yet more powerful? Have you wondered how computers can be protected from cyber attacks? Have you asked yourself how tiny biometric devices, such as fitness trackers, actually work? How does the internet work? Where is artificial intelligence taking humanity? What is cloud computing and how does it work? If you've ever asked these or similar questions, you might want to be a computer engineer! 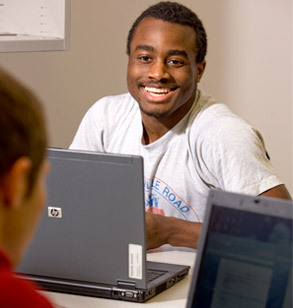 All ECE students are required to take three advanced electives in either electrical or computer engineering or computer science. You can also use other electives to further specialize your degree. You'll have several options, including power systems, communications systems, computer architecture, computer security, control systems, electromagnetics, embedded systems, internet-of-things and more. You may also qualify to take advanced electives in computer science or software engineering. Engineering design and teamwork are an integral part of our programs. 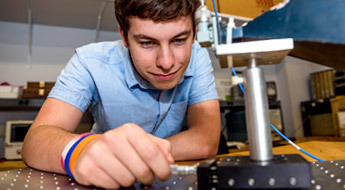 You’ll take engineering design courses beginning your freshman year, and tackle a real-world, industry-sponsored project as part of a senior design project team. We offer two options for a master's degree. One is a thesis-based master of science degree in electrical engineering (MSEE) or a course-based master of electrical and computer engineering (MECE). Both consist of 48 credit hours of advanced work, but for the MSEE, 12 hours are for your thesis. When accepted as a graduate student, you're assigned an advisor who will help you plan a personalized curriculum that meets the requirements for your degree. 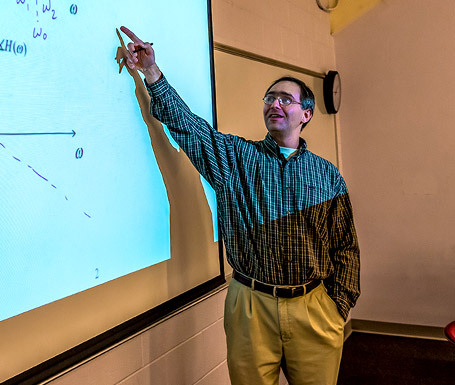 We have several faculty research projects currently underway in which students are involved. Through a partnership with Ulm University of Applied Sciences in Germany, we offer a one-year Dual Master Degree in Systems Engineering and Management. Participants in the program earn a master of science degrees from both institutions. 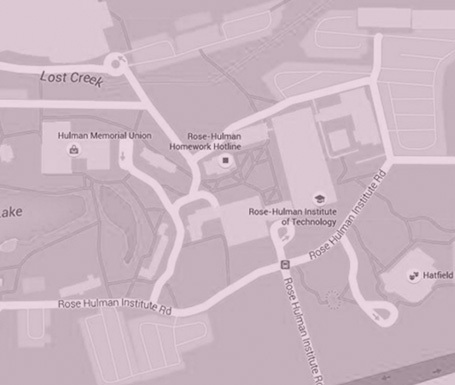 In this program, you'll take ECE and engineering management courses during the fall and winter at Rose-Hulman and take courses in systems engineering and modeling at Ulm University during the spring and summer. The degree requires a thesis that can be completed at either school. 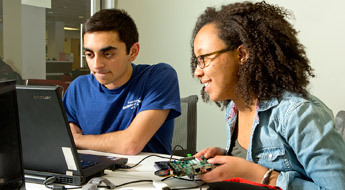 A degree in Electrical Engineering or Computer Engineering will open the door to a variety of career paths in industries ranging from communications and biomedical to automotive and defense. 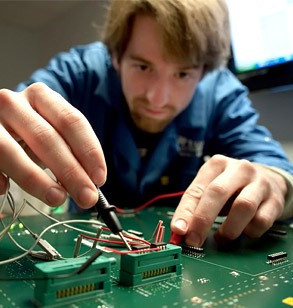 Electrical engineers work in a variety of industries designing and developing electrical equipment for automotive, defense, and communications applications, among others. An electrical engineer may help design the latest safety features for cars or develop wind, solar, or traditional energy systems. Network architects design and build data communication networks. They may be responsible for smaller networks between offices to a cloud infrastructure that serves multiple customers. Control system integration engineers develop ways of integrating multiple control systems, such as in an automobile, into an overall project. They will work closely with other engineers to develop electrical systems to meet top-level function requirements. 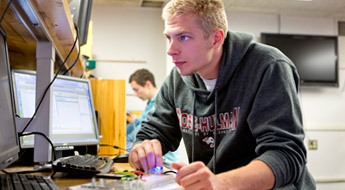 Learn about the latest happenings, student projects, and more in electrical and computer engineering a Rose-Hulman. Dr. Mario Simoni, head of the department of electrical and computer engineering, is an innovative educator who stays on the leading edge of technical advances in electronics and electrical systems. 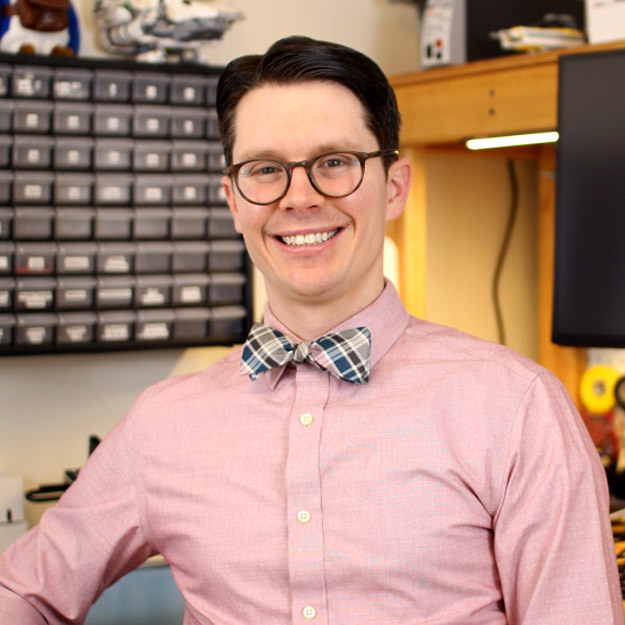 He recently developed seven new courses for the department’s curriculum, and brought systems engineering concepts into the capstone design experience.